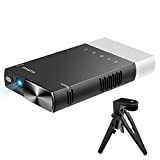 Epson Home Cinema 2150 Wireless 1080p Miracast 3LCD Projector is currently selling at $859.99, approximately $39.78 higher than average, giving a potential saving of $10.00 right now. With a lowest price of $799.99 and an average of $820.21 it is selling on the high end of its usual range. Price volatility is 1.93% (meaning it does not change often), so you might have to wait a while for the price to drop. Right now this product is a recommended 'ok deal'. 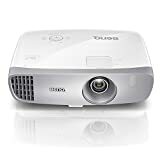 Compare the current price, savings (in dollars & percent) and Buy Ratings for the top Portable Projectors that are closely related to Epson Home Cinema 2150 Wireless 1080p Miracast 3LCD Projector. 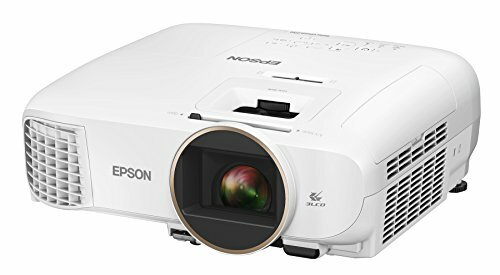 Here is how Epson Home Cinema 2150 Wireless 1080p Miracast 3LCD Projector compares with other leading Portable Projectors. Discover your new home entertainment hub with the Home Cinema 2150 wireless projector, delivering Full HD content from a variety of devices. Get widescreen 1080p images up to 11 feet or more — over 4x larger than a 60-inch flat panel. Offering 2,500 lumens of color/white brightness (1), the projector delivers vibrant images. Stream movies, games and more — from wireless or wired HDMI devices — with 2x HDMI ports, Miracast and MHL (2) support. It also features amazing dynamic contrast up to 60,000:1. With 3LCD technology, there’s no rainbow effect. Plus, enjoy HD content out of the box with vertical lens shift, 1.6x zoom and a built-in 10 W speaker 1. Color brightness (color light output) and white brightness (white light output) will vary depending on usage conditions. Color light output measured in accordance with IDMS 15.4; white light output measured in accordance with ISO 21118. 2. Includes one Mobile High-Definition Link (MHL) HDMI port. 3. Depending on your MHL device, charging may not be supported. 4. Color brightness (color light output) in brightest mode, measured by a third-party lab in accordance with IDMS 15.4. Color brightness will vary depending on usage conditions. Top-selling Epson 3LCD projectors versus top-selling 1-chip DLP projectors based on PMA Research sales data for Dec. 2015 through Nov. 2016. 5. Gamut volume in brightest mode, measured by a third-party lab in 3D in the CIE L*a*b* coordinate space. Top-selling Epson 3LCD projectors versus top-selling 1-chip DLP projectors based on PMA Research sales data for Dec. 2015 through Nov. 2016. 6. For convenient and reasonable recycling options, visit our official site. 7. SmartWay is an innovative partnership of the U.S. Environmental Protection Agency that reduces greenhouse gases and other air pollutants and improves fuel efficiency. 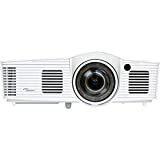 FeaturesBright - ideal for a variety of lighting conditions, the projector has 2,500 lumens of equal color and white brightness (1).Widescreen Full HD 1080p entertainment up to 11 feet (132 inches diagonal) or more - over 4x larger than a 60-inch flat panel.Amazing dynamic contrast ratio - up to 60,000:1 for even richer detail in dark scenes and enhanced projection technology - image enhancement and frame interpolation for smooth, sharp, true-to-life imagesWireless screen mirroring - mirror device photos, videos and apps using Miracast (Android/Windows 8.1/10).